According to the National Kidney Foundation, ten per cent of the world’s population is affected by chronic kidney disease (CKD), and millions die each year from the condition. In response, Dr Brian Peerce, a biochemist, and Dr Slomowitz, a nephrologist, co-founded DuoPhos – a biotechnology company focused on developing treatments for chronic renal failure. One of the company’s chief products, known as ‘2FP’, is a new weapon in the fight against CKD. Chronic kidney disease (CKD) is a progressive condition resulting in the total loss of renal function. End-stage renal disease, which is the fifth and final stage of CKD where the kidney permanently fails, affects approximately 2.2 million people worldwide. In the United States, according to the National Kidney Foundation, more than 660,000 are being treated for end-stage renal disease – costing billions of dollars in the process. 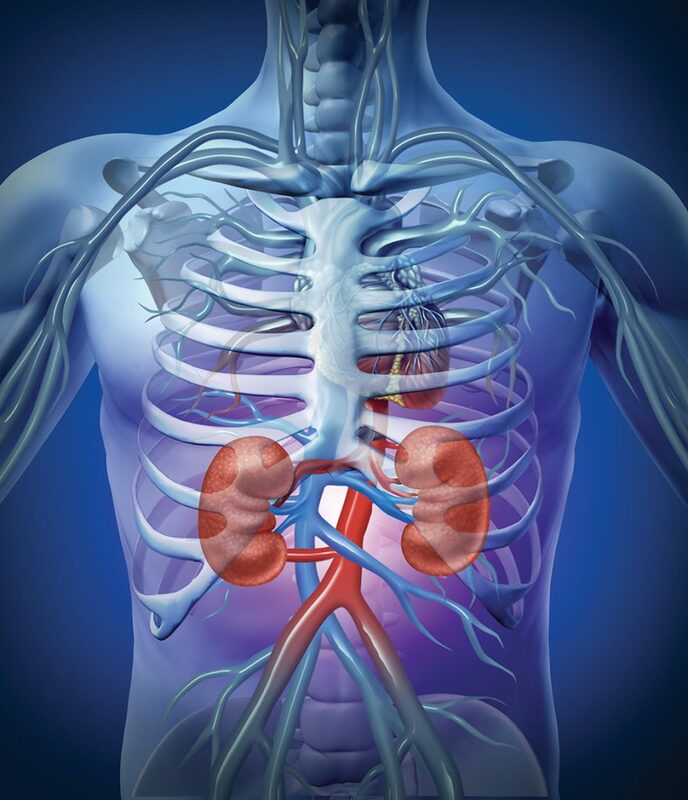 Common treatment options for end-stage renal disease include dialysis (the process of removing waste products and excess fluid from the body) or a full kidney transplant. Drugs are often used to ensure that such treatments are not required, or if they are, that they are as effective as possible. In addition, drugs are often a more economically viable solution, and in many cases, can be accessed more readily than dialysis equipment or a kidney transplant. As a result, scientists and medical practitioners are seeking to improve the drug-based treatment options available to patients. They also aim to deliver these safely and efficiently to patients who are battling CKD, especially those who have limited access to healthcare. Biochemist Dr Brian Peerce and his colleagues from DuoPhos have been developing a drug known as ‘2-fluorophosphophloretin’, or ‘2FP’, for treating CKD. Since streamlining the synthesis of 2FP, their research and development goals have been to assay the safety of 2FP, to determine the chronic toxicity of 2FP in animal testing and to examine the chronic toxicity of 2FP on human cells in vitro, in the laboratory outside the human body. Completion of these goals will establish the drugs suitability for human trials and accelerate its transition to clinical use. 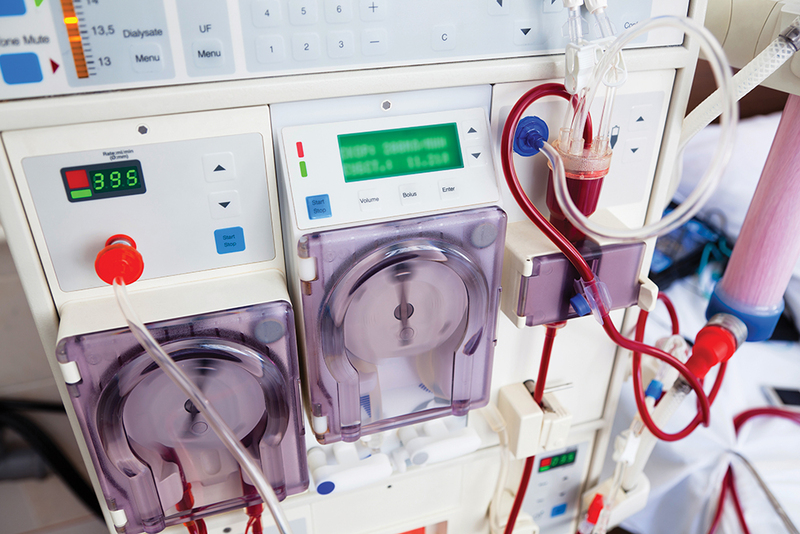 Hyperphosphatemia portends higher mortality rates in both kidney patients not on dialysis and those receiving dialysis therapy. Hyperphosphatemia causes a variety of serious health problems because all the endocrine glands involved in bone and calcium homeostasis also become dysfunctional. This leads to weak and fragile bones prone to fractures and calcification of blood vessels, which leads to a greater risk for heart attacks and strokes. The National Kidney Foundation recommends that a patient’s level of phosphorus should be between 3.5 mg/dL and 5.5 mg/dL of blood. 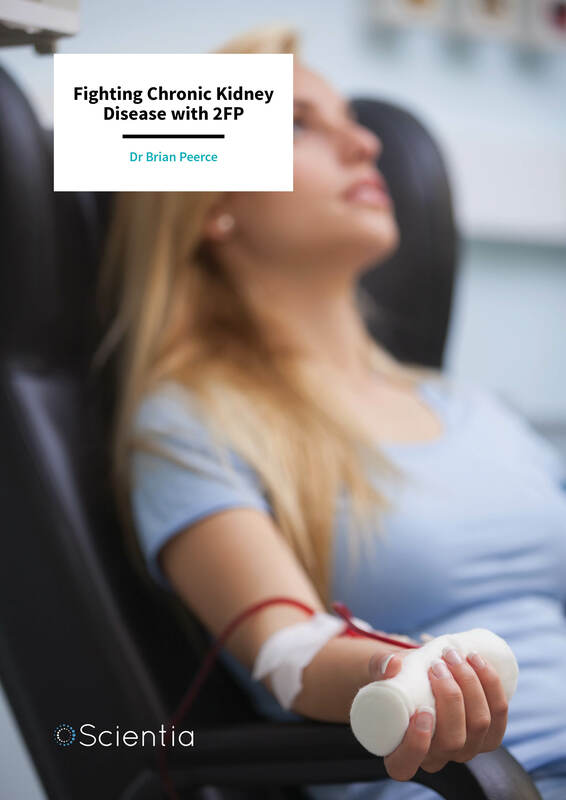 Unfortunately, most patients suffering from end-stage renal disease have phosphorus blood levels above what is recommended, and improving these levels is a major focus of kidney healthcare providers. After synthesis, Dr Peerce and his team at DuoPhos assessed the potential therapeutic action of 2FP. 2FP was found to inhibit the action of the sodium (Na+)/phosphate cotransporter (NaPi2b) – an intestinal protein responsible for 50 to 70 per cent of dietary phosphorus absorption. 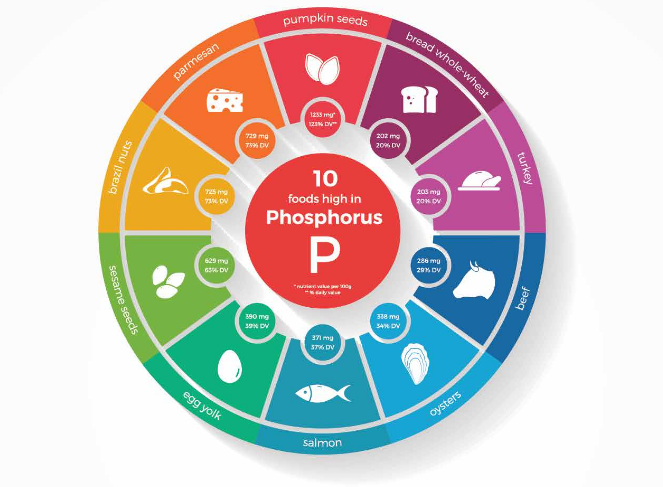 The ability of 2FP to limit the uptake of dietary phosphorus was indeed a critical discovery, as it could be used to lower blood phosphorus levels in patients with CKD. The next step, therefore, was to conduct animal tests to establish its real-world efficacy in doing exactly that, as well as any potential side effects. In animal testing, 2FP was demonstrated to reduce blood phosphorus levels by 40 to 55 per cent, at daily doses of five micrograms per kg of body weight over a two to 12-week period. Rats, for example, exhibited a 50 per cent decrease in blood phosphorus levels with 2FP. The result of this decrease was the recovery of renal function and the delayed progression of renal failure. Furthermore, rats treated with 2FP presented with no adverse health effects. In other tests, dogs were given 2FP in varying doses to assess the potential health effects on larger animals. After three days of repeat doses of ten micrograms, 100 micrograms, and one milligram per kilogram of body weight, no adverse side effects were observed. In summary, at doses up to 1000 times the minimal efficacious dose, animals exhibited no side effects related to the drug – either after a single dose, or when the drug was given for up to four weeks. Bearing this in mind and given that in animal testing 2FP proved to be effective at hindering phosphorus absorption and lowering blood phosphorus levels, the next step was to conduct in vitro testing of toxicity on human cell samples in the laboratory. 2FP’s potential human toxicity was evaluated in vitro using several standard industry assessments, in both short-term settings and over longer periods of time at concentrations 100 times the anticipated maximum therapeutic dose for humans. Under both testing conditions, no toxicities were observed. Interestingly, the major by-product of 2FP metabolism and the ‘backbone’ of the 2FP is phloretin, an antioxidant found in apples. The team at Duophos is excited that 2FP showed no side effects in vivo (in the body) or during in vitro testing. Another reason for 2FP’s lack of toxic effect on humans is that, after ingestion, only a very small percentage of the drug is absorbed into the body (0.03 – 0.1 per cent). Despite this, the drug is still incredibly effective at limiting phosphorus absorption in the intestine, and thus, treating CKD. 2FP has been tested on animals and an appropriate dosage has been determined. The toxicity of the drug on human cells has also been ascertained by in vitro testing and found no adverse side effects. 2FP has not been tested in human clinical trials to establish its real-world efficacy and associated side effects. That is the next step for Dr Peerce and the team at DuoPhos. In fact, they are currently preparing an application for FDA approval for the first human clinical trials. 2FP has the potential to be an effective treatment for CKD, with little to no side effects. Both animal and in vitro testing on human cells has confirmed this to be the case. In light of these positive results and with human clinical trials on the horizon, this new treatment could be moving from the laboratory to the clinic in the near future. The DuoPhos team is excited that if the drug works in humans as it does in animals, it would solve the problem of hyperphosphatemia in dialysis patients and could potentially eliminate the need for dietary restrictions. In CKD patients not on dialysis, it could help maintain their kidney function and hopefully avoid or delay the need for dialysis. Dr Brian Peerce received his PhD in biochemistry from the University of Alabama at Birmingham. 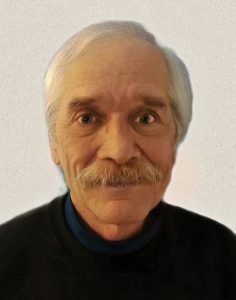 Since then, he has held faculty positions at the University of California Los Angeles (UCLA) and the University of Texas Medical Branch in Galveston. His research focuses on the mechanisms of membrane protein-mediated ion transport and developing pharmaceutical derivatives for disease treatment. In 2009, Dr Peerce and Dr Larry Slomowitz founded DuoPhos – a biotechnology company focused on developing new treatments for chronic renal failure. After conducting in-depth studies into the action of intestinal Na+-phosphate cotransporter (NaPi2B), the team at DuoPhos developed an inhibitor of NaPi2B known as ‘2FP’ which, in turn, blocks dietary phosphorus absorption. Given that high phosphorus is a contributor to the progression of kidney disease, this is a significant step towards better treatment of the condition.